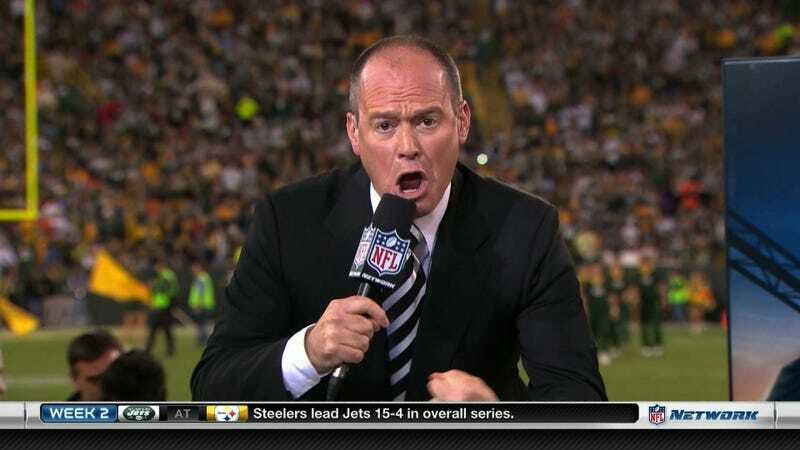 So we have a full season of Thursday Night Football on NFL Network (for those of us fortunate enough to receive that channel, at least) and that means plenty of action our favorite ego wrangler Rich Eisen. It can be hard to manage a set featuring personalities like Deion Sanders and Michael Irvin, much less to make sense of the jabbering they often spew during pregame shows that seem to lengthen by the week. Regardless, though, Eisen's a pro—even if he's going to his "punters are people too" line a bit too often these days.